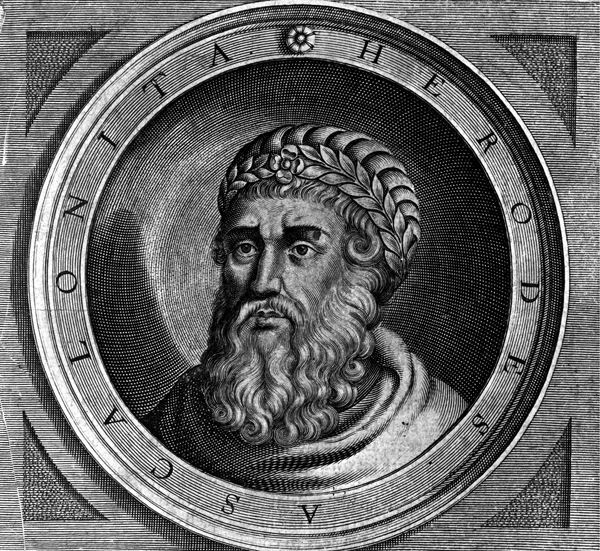 Herod I - often referred to as Herod the Great - was a Roman client king of Judea who ruled from 37–4 BC. Herod spent lavish sums on his various building projects and generous gifts to other dominions, including Rome itself. His buildings were very large, ambitious projects. Herod was responsible for the construction of the Temple Mount, a portion of which remains today as the Western Wall. In addition, Herod also used the latest technology in hydraulic cement and underwater construction to build the harbor at Caesarea Maritima. Herod died in Jericho, after an excruciatingly painful, putrefying illness of uncertain cause, known to posterity as "Herod's Evil".